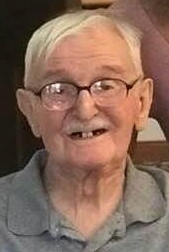 Funeral services to celebrate the life of Philip L. Prichard, 88, a resident of the Iowa Veterans’ Home, formerly of Davenport, Iowa, will be at 11:30 a.m. Monday, February 4, 2019, at St. Paul Lutheran Church, 2136 Brady Street, Davenport. There will be a visitation from 10:30 a.m. until service time at the church. Arrangements have been entrusted to Halligan McCabe DeVries Funeral Home, 614 N. Main Street, downtown Davenport. Burial will take place in the Rock Island National Cemetery, Arsenal Island. Memorials may be made to St. Paul Lutheran Church. Phil died Tuesday, January 29, 2019, at Mary Greeley Medical Center, Ames, Iowa, after a brief illness. Phil was born on June 6, 1930, in St. Paul, Minnesota, to James S. and Mary Fern (McMurtry) Prichard. The family lived in Kansas City, MO, before moving to Storm Lake, Iowa, where Phil grew up. Phil graduated from Storm Lake High School in 1948, and earned a BA from Cornell College in Mt. Vernon in 1952. He proudly served in the U.S. Navy during the Korean War. Phil was united in marriage to Delaine G. Woelber on July 26, 1963, in Sioux County, Iowa. Phil and Delaine moved to Davenport in 1965, where Phil worked for the Department of Defense at the Rock Island Arsenal and Delaine taught at Wilson Elementary School in Davenport. Phil and Delaine owned and operated Prichard’s Duraclean Carpet Cleaning business from 1979 until 2006, serving the Quad City area. Phil and Delaine became the publisher and editors of the Lone Tree Reporter for several years in the1990s. They also attended Bible Study at Saint Alban’s and Seventh-Day Adventist churches. Phil was an active member of St. Paul Lutheran Church, leading an Explorer Scout group in the early 1970s, driving the church van to pick up elderly members in the 1970s, and participating in Word and Witness. 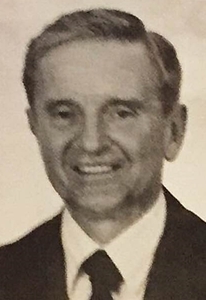 Phil was a member of the World Affairs Councils of the Quad Cities, enjoyed attending CommUniversity at St. Ambrose University, and was a member of the Cornish Welsh Heritage Society. Phil, with his wife Delaine, enjoyed picnicking in the many parks around the Quad Cities and especially enjoyed being by the Mississippi River, viewing the wildlife. In the summer, they enjoyed watching plays by the Genesius Guild in Rock Island’s Lincoln Park. Those left to honor Phil's memory include his children, Lisa Prichard (Bernard Canniffe) of Ames, Todd (Ann) of Charles City, Bonnie Padgett of Miami, FL, as well as five grandchildren, Elizabeth and Benjamin Canniffe and Katherine, Emma, and Owen Prichard; and brother-in-laws, sister-in-laws, and nieces and nephews. Phil was preceded in death by his wife, Delaine, his parents, and brothers Jim Prichard and John Prichard, both of Storm Lake. May they rest in peace. Online remembrances and condolences may be expressed to the family by visiting Philip's obituary at www.hmdfuneralhome.com.